Now that you know everything there is to know about ionic compounds (or your teacher thinks you do, anyway), it’s time to get familiar with another big type of chemistry thing: covalent compounds. As you’ll see, the way that covalent things interact with each other is much different than the way ions interact with each other, resulting in very different behavior. This is nice because you can usually make pretty good guesses about the properties of covalent compounds, but the downside is that you have to remember something new. Fortunately, I know that all of you are endlessly excited by learning stuff, so this should be fun. I hope. Covalent compounds are chemical compounds in which a bunch of atoms are all bonded together with one another via covalent bonds. Covalent bonds, as you may or may not know, occur when two atoms share two electrons. 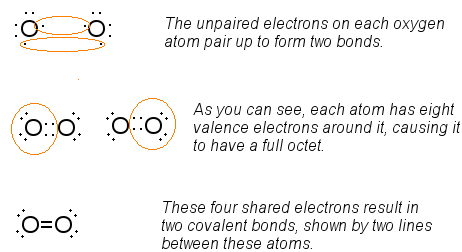 If you have a single covalent bond between two atoms, there are two shared electrons, while a double covalent bond results in four shared electrons. You can probably figure out the deal with triple covalent bonds on your own. As I mentioned before, the octet rule governs all chemical bonding. Simply put: All atoms want to gain or lose electrons to gain the same electron configuration as the nearest noble gas. This explains why the alkali metals want to lose electrons (to be like the previous noble gas) and the halogens want to gain electrons (to be like the next noble gas). If you don’t remember that, check out the tutorial about this here. Why do atoms need to share electrons? Let’s think back to what we learned about ionic compounds. When one atom is very electronegative (such as fluorine), it wants to gain electrons. When it comes into contact with an atom that has low electronegativity (such as the electron-hating sodium), the sodium very quickly gives its electron to fluorine. This causes sodium to have a +1 charge and fluorine to have a -1 charge, which in turn causes them to attract as the ionic compound NaF. Now, let’s imagine that the two atoms that are hanging around one another are both fluorine atoms. Each of the fluorine atoms wants to gain an electron (to fulfill the octet rule), but both are so electronegative that neither will give electrons up to the other. The eight dots refer to the eight valence electrons of neon, and each side of the neon atom represents an orbital. As you probably already guessed, each orbital can hold two electrons. Because they each have seven valence electrons, we can see that each fluorine atom has three filled orbitals and one half-filled orbital. The top diagram shows that the unpaired electrons on each atom will want to join together in a bond, and the bottom diagram shows what the whole thing looks like when the process is complete. This may not look like much of an improvement because the total number of electrons is exactly the same as it was before. However, each fluorine atom is surrounded by eight valence electrons, with the two in the bond attributed to both. As a result, both are happy. Top: Both fluorine atoms are surrounded by eight valence electrons. Bottom: The two shared electrons between the fluorine atoms are called a covalent bond, which is usually depicted with a single line between the two atoms. The reason that there are two unpaired electrons is Hund’s rule, which states that electrons like to stay unpaired whenever possible. If these electrons paired up, there’d be no unpaired electrons – just three filled orbitals and one empty one. This is bad. Similar things happen when a triple bond is formed by the combination of two nitrogen atoms. We’ll talk about this a lot more in the future, so if you don’t quite get it yet, don’t worry. The main message is that covalent bonding occurs when two electronegative atoms share electron pairs to fulfill the octet rule. The biggest difference between ionic and covalent compounds is that in ionic compounds, all of the ions kind of stick to each other in a great big block. There are no particular ionic bonds, because every atom is electrostatically stuck to the ones next to it. The electrons stay put, and the ions also stay put because cations and anions are more stable next to one another. In covalent compounds, on the other hand, atoms don’t do this. Instead of being arranged in big blocks, covalent compounds can be arranged into much smaller molecules in order to fulfill the octet rule. Look at one of the examples above: Do any of the atoms in the final structure have any charge that would attract atoms other than the one it’s bonded to? If you answered no, and I hope you did, you’ll see that covalent compounds are fundamentally different than ionic ones. You can think of it like this: An ionic compound has the same structure that you’d get if you threw a bunch of magnets into a box. Instead of arranging in small clusters, you’d get one great big brick where all of the magnets attracted each other. When we talked about the properties of ionic compounds before, we saw that this great big brick o’ ions is responsible for the properties of ionic compounds. On the other hand, covalent compounds are more like a box of pens. Though things may start out chaotic, when you’ve finally stuck things together and made all the pieces stable, you end up with a bunch of pens that don’t really have much to do with each other.¹ Because they can slide and jostle about, they’ll behave a lot differently than the box full of magnets. Pictured: Something having to do with chemistry, I think. It’s this ability to separate molecules from each other that gives rise to the main properties of covalent compounds (as well as the alternate name for these: “molecular compounds”). If you ever forget what the properties of covalent compounds are, you can remember how these molecules behave and reason it out. Ionic compounds have very high melting and boiling points because to melt or boil them, you need to pull all of the ions in the compound away from each other. This takes a lot of energy because they all really like to stay together in a great big clump. If you are one of those nuts that call the interaction between ions “ionic bonds”, this means that you have to break each and every one of these bonds. The melting points of ionic compounds vary widely, but temperatures over 250 degrees are typical and temperatures over 1000 degrees certainly aren’t surprising. Covalent compounds, on the other hand, are much easier to melt or boil because you aren’t breaking any bonds at all. When you melt or boil a covalent compound, you are only separating molecules from one another, and the covalent bonds are entirely intact when the process is over. Let’s go back to the magnet and pen example. 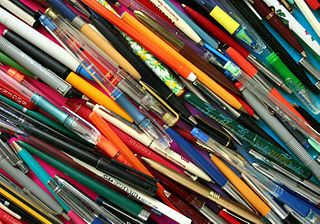 Would you rather be hit over the head with a garbage bag filled with magnets, or one filled with pens? Let’s assume that each weighed the same amount. If you’re like me (and pray that you aren’t), you’d rather be hit with the pens. Though they may weigh the same amount as the magnets, the pens won’t stick to one another in a hard chunk. Instead, the pens will slide past one another, lessening the impact. Likewise, covalent compounds are easier to scratch than ionic compounds because the molecules can easily be pulled away from each other. Note: This doesn’t mean that covalent compounds are soft and squishy in every sense. For example, if you have a chunk of ice, you’d probably agree that it’s easier to scratch and is less hard than a block of granite. That said, you probably don’t want to get hit over the head with either, because a “soft” compound such as ice still isn’t all that soft when compared to your skull. It’s for this reason you probably don’t want to be hit with a sack full of doorknobs. We talked before about the conditions required for something to conduct electricity: The material either has to have moving electrons (like the delocalized electrons in metals) or moving ions (like the ions produced when you melt or dissolve an ionic compound). In the case of covalent compounds, you have neither delocalized bonding nor ions, so they don’t conduct electricity under most conditions. There are exceptions of course, but I can’t think of any off the top of my head. It’s simply not possible to move charge around in something that doesn’t contain charge! Of course, you’re probably wondering why people get electrocuted if they play with electricity in water. The reason: Water usually has dissolved ionic compounds in it such as sodium chloride. If you had totally pure water, you’d find that it doesn’t conduct electricity at all, and that any observed conductivity is proportional to the amount of ionic compound dissolved in it. This is why it’s a bad idea to become a bathtub electrician. I’ll talk about this more in a future tutorial, but it turns out that things tend to dissolve best in liquids that share the same properties of charge separation (“polarity”, for those who have read ahead in the book). And, for reasons we’ll discuss later on, water has an unusually high charge separation for a covalent compound. Ionic compounds usually dissolve pretty well in water, because you don’t get much more charge separation than separate cations and anions. On the other hand, covalent compounds, which have very little (if any) charge separation, tend not to dissolve well at all. This is why salt water is common, but oil (a covalent compound) doesn’t mix with water. 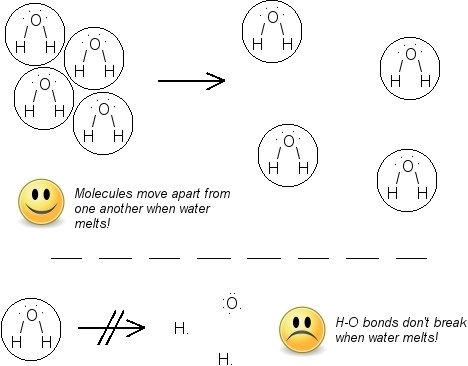 Of course, some covalent compounds dissolve just fine in water. Things like sugar and alcohol dissolve well in water, which explains why Uncle Frank acts so weird when he gets drunk and eats half a pound of stale licorice sticks. However, these compounds are the exception, and not the rule. Before rehab, Uncle Frank’s cat was just as bad. For something to burn, it should contain hydrogen and carbon. Because these two elements have nearly identical electronegativities, they form covalent compounds when they bond. As a result, organic compounds (covalent compounds containing hydrogen and carbon) are usually flammable. This isn’t to say that nothing else burns, but it’s certainly a lot more common to see covalent compounds burn. This is the reason you shouldn’t smoke cigarettes when you’re filling up your car, or start a campfire at an oil refinery. On the plus side, if you start smoking you can become as glamorous as this Nazi war criminal. As you can see, there’s a not of neat stuff to learn about covalent compounds. Fortunately, there’s more to learn. Much, much more. Except for the whole idea of polarity and intermolecular forces. We’ll get to that later, so don’t panic if you hear that molecules really do interact with each other a little bit. Though it is possible to break the covalent bonds in water by heating it, this process takes place at about 2000 degrees Celsius, reflecting the fact that covalent bonds are very strong. Magnets: By Omegatron (Own work) [CC BY-SA 3.0 (http://creativecommons.org/licenses/by-sa/3.0) or GFDL (http://www.gnu.org/copyleft/fdl.html)], via Wikimedia Commons. Pens: By Takkk (Own work) [CC BY-SA 3.0 (http://creativecommons.org/licenses/by-sa/3.0) or GFDL (http://www.gnu.org/copyleft/fdl.html)], via Wikimedia Commons. Smiley face and frowny face: By The people from the Tango! project (The Tango! Desktop Project) [Public domain or Public domain], via Wikimedia Commons. Doorknob: By Bill Jacobus [Public domain], via Wikimedia Commons. 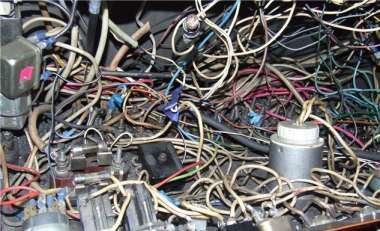 Wires: By Rustmaker () [CC BY-SA 3.0 (http://creativecommons.org/licenses/by-sa/3.0)], via Wikimedia Commons. Drunk cat: By ColKorn1982 (DrunkCat) [CC BY-SA 2.0 (http://creativecommons.org/licenses/by-sa/2.0)], via Wikimedia Commons. 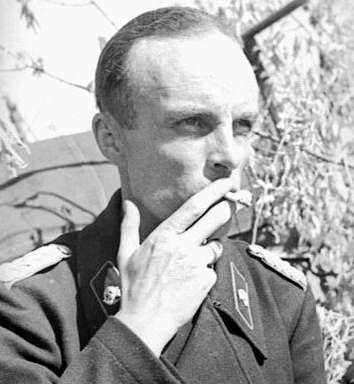 Smoking Nazi: Bundesarchiv, Bild 101I-218-0518-14 / CC-BY-SA [CC BY-SA 3.0 de (http://creativecommons.org/licenses/by-sa/3.0/de/deed.en)], via Wikimedia Commons. For those of you who have been told to cite things incorrectly, the date this was published was January 16, 2015. If you’d like to do it the right way, Google “ACS Style” or the style rules for any of the other physical sciences. Seriously, MLA style? That’s only used in the humanities, and we’re scientists!